The Australian Pecan Association Incorporated (APA) is a not-for-profit incorporated association representing the Australian Pecan industry. It's head office is based in Northern Rivers region, in Lismore. 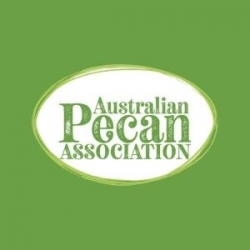 Membership of the Australian Pecan Association is open to all growers of pecan trees – whether your orchard is large or small, established or at the planning stage. We also welcome nurseries, horticultural students, equipment suppliers, workers on pecan farms and anyone with a love of pecans!